An extended look at the live-action iteration of Disney’s “Aladdin” aired during Sunday night’s Grammy Awards, and it’s shining, shimmering, splendid! 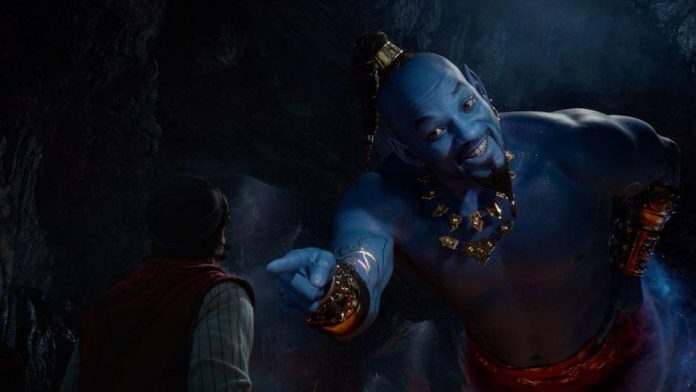 Smith shared a few snapshots of his Genie on his Instagram after the trailer aired. “I told y’all I was gon’ be Blue! !” he wrote in his caption.